The American economy just wouldn’t be the same without small businesses. Small businesses are responsible for creating over half of the jobs in the United States and help to improve the quality of the neighborhoods where they’re located. When it comes to innovation, small businesses lead the pack, with small businesses that patent products producing an average of thirteen times more patents than larger businesses. But for all the benefits small businesses provide, small business owners often have a hard time securing funding through traditional business loans. To help give small business owners a chance to succeed, the Small Business Administration (SBA) partners with lenders to provide SBA loans. Contrary to what the name suggests, SBA loans are not directly issued through the Small Business Administration. SBA loans are actually business loans offered through other lenders, such as banks and credit unions. However, these loans are partially guaranteed by the SBA. 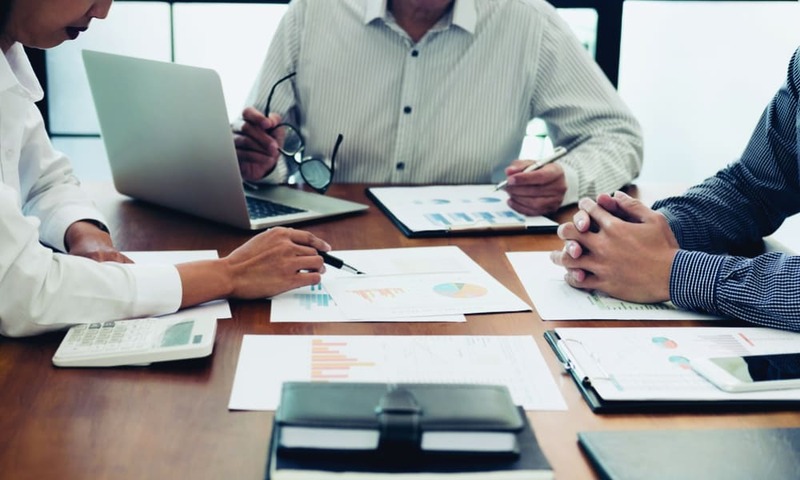 Since many lenders typically see small businesses as being a higher risk than larger businesses, this guarantee from the SBA makes lenders more inclined to offer loans to small business owners. When the SBA guarantees business loans, it does more than make it easier for small business owners to get business funding. By partnering with the SBA, lenders have to meet certain requirements to keep the terms of the loans favorable for the business owner, such as longer repayment terms, lower monthly payments, and caps on interest rates. However, this doesn’t necessarily mean SBA loans are simple to get. Applicants need to meet the Small Business Administration’s requirements for what constitutes a small business and some types of businesses are ineligible for SBA loans. If your business is eligible for an SBA loan, the application process can be slow and time consuming. Applying for an SBA loan can take weeks and once an SBA loan is approved, it may take 30-60 days for the loan to be closed and for you to receive your funds, so they’re not an ideal option if you need financing for an immediate need. SBA loans can also be difficult to obtain if your business has been operating for less than two years or has a less-than-ideal credit score. SBA loans are not just one type of business loan; there are actually several different types of SBA loans available, including 7(a) loans, CDC/504 loans, microloans, and disaster loans. 7(a) loans are the most common type of SBA loan and can be used for a wide variety of business purposes such as purchasing equipment, expanding a business, buying a franchise or other business, purchasing commercial real estate, and renovating a building. Funds from 7(a) loans cannot be used for paying back taxes, paying back money owed to investors, making investments, or purchasing a property that will primarily be rented out. There is no minimum amount for 7(a) loans and small business owners can receive loans in amounts up to $5 million. The average amount for a 7(a) loan is $330,000 and about two-thirds of all 7(a) loans are for less than $150,000. If you are planning to use a 7(a) loan to purchase real estate or acquire a business, a 20% down payment is required. Collateral is also required in many cases, unless you are seeking a loan for less than $25,000. Repayment terms for 7(a) loans vary depending on how you need to use the funds. These loans can have terms up to 10 years if they’re being used for equipment, up to 25 years if they’re being used to buy real estate, or up to seven years if they’re being used as working capital. Interest rates can be either fixed or variable. The SBA also has a couple different types of 7(a) loans. SBA Express Loans have many of the same requirements that regular 7(a) loans do, only the SBA reviews applications within 36 hours, the maximum loan amount is only $350,000, and interest rates are higher. The SBA’s 7(a) Advantage Loans are designed for small businesses in underserved areas with limited access to financing. CDC/504 loans are intended for larger, more long-term investments. These loans can be used for making large equipment purchases, constructing a new building, renovating an existing building, or buying commercial real estate. You cannot use a CDC/504 loan to speculate in real estate or to buy a building where over 51% of the space will be rented out. Funds from CDC/504 loans also cannot be used for general working capital needs, such as meeting payroll, buying inventory, or hiring more employees. Unlike 7(a) loans, CDC/504 loans require applicants to make a down payment for a percentage of the total cost of the purchase, typically 10% or 15%. The interest rate on CDC/504 loans is fixed for 20 years for real estate purchases and 10 years for equipment purchases. Although other types of SBA loans are offered through third-party lenders, SBA microloans are funded with money from the government and are dispersed through approved non-profit organizations throughout the country. The microloan program serves small business owners who only need small amounts of money to start a business, expand a business, buy equipment, or cover other working capital needs. Funds from SBA microloans can’t be used to buy real estate or to refinance your company’s existing debt. SBA microloans are available in amounts up to $50,000, but the average microloan is $13,000. The maximum length for an SBA microloan is six years and interest rates typically range between 8% and 13%. Each non-profit organization that handles SBA microloans can have their own requirements for applicants to meet, but many require collateral. When disaster strikes, the effect it has on local economies can be devastating. To help businesses get back on track after a disaster, the SBA offers three different types of disaster loans: Business Physical Disaster Loans, Economic Injury Disaster Loans, and Military Reservists Economic Injury Loans. Business Physical Disaster Loans can be used to cover damages caused to the property owned by your business: the building it’s located in, inventory, equipment, fixtures, and furniture. Economic Injury Disaster Loans are intended to provide small businesses with the essential working capital they need to stay open when a disaster makes it impossible for them to meet their financial obligations. Not all types of disaster loans offered by the SBA pertain to damages caused by natural disasters. If an employee who is vitally important to your business is called into active military duty and your business is no longer able to cover its operating expenses as a result, the SBA’s Military Reservists Economic Injury Loans can lend businesses the money they need to continue operating in their absence. Given the sudden and unpredictable nature of disasters, SBA disaster loans typically come with rather generous, flexible terms. Small business owners can apply for SBA disaster loans for amounts up to $2 million and repayment terms are determined on a case-by-case basis, but can last up to 30 years. Interest rates vary between 4% and 8%, depending on whether or not credit is available elsewhere. If you’re trying to get a loan to purchase a business, you’ll also need to provide detailed information about the business you’re acquiring, including a copy of the terms of sale and their past two years’ worth of tax returns.